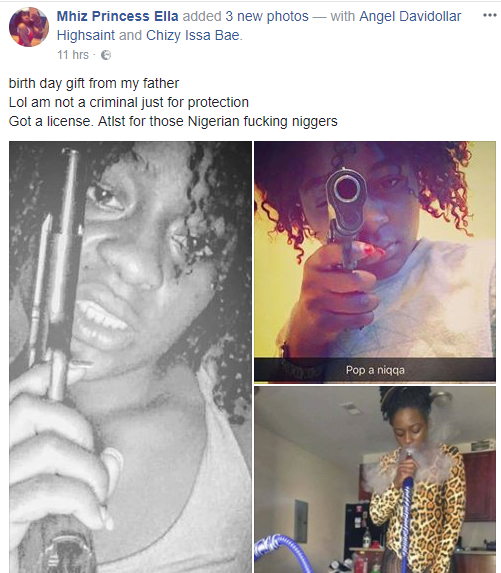 A Kenyan who recides in Lagos got people talking lately after she took to her facebook page to show off the gun she got as a birthday present from her dad to ward off Nigerian men who tries to f*ck with her feelings. 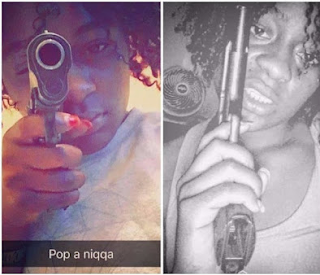 "Birth day gift from my fatherLol am not a criminal just for protection.Got a license. Atlst for those Nigerian fu-king niggers"
What's your thoughts on this pressing issue?